I'm a little slow on blogging lately. 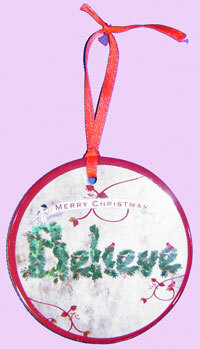 I wanted to show you this handmade ornament by Elizabeth Gleason. I won it at the Friday Morning Networking Group meeting a couple weeks ago. Elizabeth created the artwork. I believe! So in case I forget to post it, "Merry Christmas" to everyone and thank you, Elizabeth, for my first Christmas gift of 2011.